The MCU is about to get much, much larger. Although the Russo Brothers' efforts lately are largely concerned with the upcoming Avengers: Infinity War and Avengers 4, they can't help but be excited about Disney's plans to acquire Fox Studios. Currently owned by Fox, famous Marvel characters that have yet to be seen in the MCU such as the Fantastic Four, Silver Surfer, Wolverine, Dr. Doom, Galactus, Deadpool, and the entirety of the X-Men would be up for grabs after the Disney/Fox merger. This is some potentially huge news, as it would bring characters together that have never shared the screen before. Think the cast of Avengers: Infinity War times two. In a recent interview with French publication ​Linternaute, The Russo Brothers stated, "If that Fox deal goes through with Disney, there’s a lot more characters to work with all of a sudden. It would be interesting to do something like ‘Secret Wars.'" Secret Wars is an event which has happened twice in Marvel Comics before, referring to the original in 1984 by Jim Shooter, Mike Zeck and Bob Layton, and the more recent in 2015 by Jonathan Hickman and Esad Ribić. 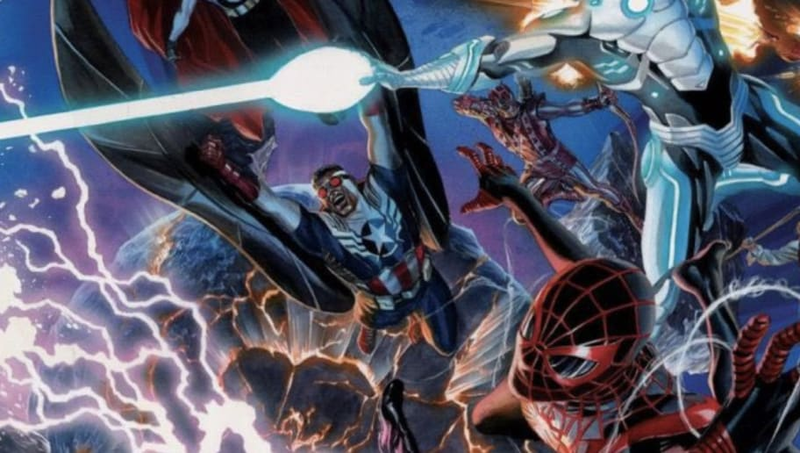 While the original story existed primarily as a crossover event so all of their characters could fight each other, the 2015 Secret Wars event had more function. The story merged two of Marvel's universes, its main continuity and its "Ultimate" universe, having characters such as Peter Parker (Spider-Man) meet their counterparts, the Afro-Latino Spider-Man, Miles Morales, etc. The move to do something like Secret Wars after the Disney/Fox merge is a brilliant idea from the Russo Brothers, as a crossover-themed plot would allow Marvel the option to keep fan-favorite actors in their roles from X-Men and Deadpool films with little-to-no continuity errors. Although the film remains entirely hypothetical, as the Russo Brothers stated their time is completely occupied by the next two Avengers films, the simple mentioning of a plan after the Disney/Fox merger is the closest we've seen to having Ryan Reynolds as Deadpool or Michael Fassbender as Magneto standing on screen next to our favorite Marvel heroes.